Health Care services are one of those top requirements which are necessary to maintain healthy status of society. Due to fast development and expansion the population of Dhanbad has increased manifolds. This in turn has led to the opening of many new hospitals and nursing homes to care care of the health infrastructure of the city. At present, number of well equipped government and private hospitals, nursing homes and private clinics are providing health care services in the city. When it comes to get proper treatment of any kind of health ailment one has lots of options in the city. Well qualified and experienced doctors and nurses take care of patients in these hospitals or nursing homes. In addition to hospitals and nursing homes there are few blood banks serving the residents of the city. Below are listed hospitals and nursing homes in Dhanbad. Dr. Jyotir Bhushan Healthcare And Research Pvt. Ltd. There are few blood banks in and around Dhanbad serving the residents of the coal city. 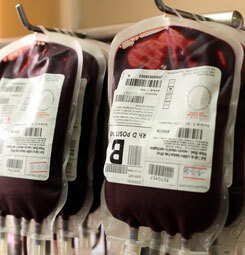 These blood banks contains units of almost every blood group. Blood units are tested and are only delivered after prior prescription from the certified medicos or hospitals. No doubt these blood bank though few in number are of immense importance in city like Dhanbad which is one of the ever growing cities of Jharkhand and India.